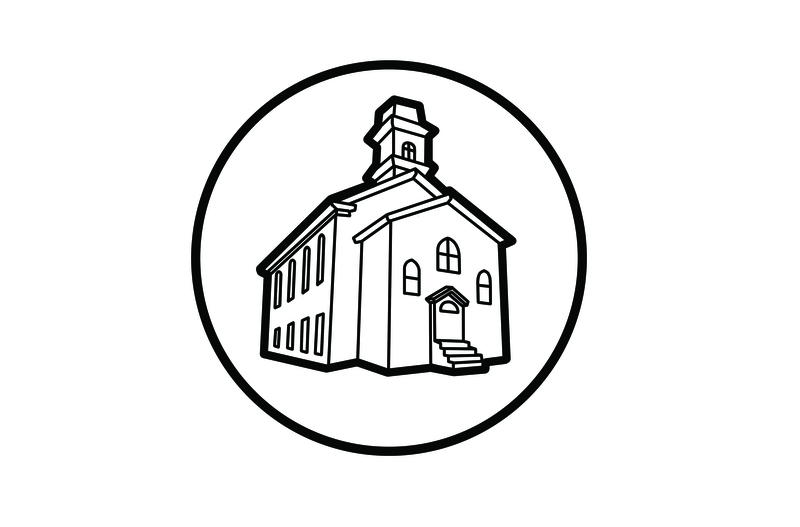 The Computer Church: The Hollerith Business Card (Egypt). We are not sure what this is or when it was made!! 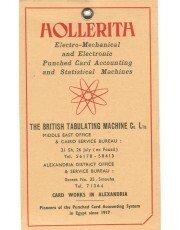 It appears to be marketing material from the British Tabulating Machine Company (BTM) advertising their Cairo and Alexandria offices in Egypt. It isn't very large, measuring 3 1/2 inches (8.89 cm) wide by 5 7/8 inches (14.92 cm) long. The ribbon adds about another 4 1/2 inches (11.43 cm). The reverse side shows a background montage of business report printouts with "Hollerith Applications in Government, Commerce & Industry are Unlimited" printed over them. The obverse side states "Hollerith Electro-Mechanical and Electronic Punched Card Accounting and Statistical Machines". Beneath that heading is the contact information for two BTM Egyptian offices; one in Cairo and the other in Alexandria. A lovely green ribbon is attached to the top of the card. One of our staff thought that the ribbon suggested that this was used as a bookmark. In 1917, Egypt became only the third overseas country to use BTM Hollerith machines for its census.¹ A former employee of BTM, recalled that although Egypt used the Hollerith punch card system for the census, the cards had to be shipped to Italy "because there were no sorters or tabulators in Egypt".² So we know that the card cannot be any earlier than 1917 and the prominent use of the name "Hollerith" suggests that it was sometime before the 1970's. At this point, dating this card to the 1950's is nothing more than a guess. One other clue to its age would be that the phone numbers are only five digits long. However, we have been unable to find any information as to when Egyptian cities stopped using five digit phone numbers. If you have any information about this object, please contact us. An I.C.L. Anthology: Ancecdotes and Recollections from the People of ICL, ed. Hamish Carmichael, 1996, Laidlaw Hicks Publishers, page 10.